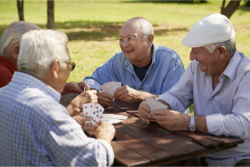 Living in your golden years does not have to be boring and we provide a lot more than just healthcare and support. We have a myriad of different activities and games on a daily basis to ensure that there is always something you can do in order to have fun! If you are interested in finding out more about our activities and games, or if you want to learn more about our other services, please give us a call anytime at 907-746-4255.